Gadgets might be more commonly viewed as toys for the tech crowd, but music has always been a key focus. From the Walkman to the iPod, consumer electronics companies know that people want access to their music wherever they go. K-Bow: Instrument-wise, it doesn’t get much more old-school than the violin, viola or cello, but this Bluetooth-enabled bow, made of Kevlar and graphite, lets musicians manipulate the sounds coming out of the instruments. It’s not cheap — costing anywhere from $3,000 to $3,500, but it also comes with advanced software to translate the music to MIDI or include reverb and other effects. Griffin StompBox: There are plenty of foot controllers for guitars, but what makes Griffin’s StompBox unique is its interface with the iDevice of your choosing. That lets musicians switch between virtual guitar effects without taking their hands off of their instruments. It sells for $99 and comes with a cable allowing you to connect to an instrument, headphones and the iOS device simultaneously. Ion USB guitar: Artists who are still working on demos and don’t have access to studio time could find this instrument invaluable. The guitar plugs directly into a laptop or other computer, making it easier to record digital samples of your work. At $100, it’s hardly high end, but is a good way to learn the ropes — and best of all, you don’t have to worry about having the right drivers installed. Blue Yeti Pro: The Blue lineup of USB microphones are widely viewed to be the best on the market, blending quality equipment with reasonable prices and lots of functionality. The Yeti Pro is the company’s top of the line, costing $250 and delivering incredible quality, combining 24 bit/192 kHz digital recording resolution with analog XLR output. The company, in fact, claims that the Yeti Pro can capture digital audio with up to four times the clarity found on CDs. Yamaha Audiogram 6: Musicians who play strictly as a hobby won’t have any need for this, but pros and aspiring pros who are serious about mixing their music will want to give it a close look. Yamaha’s mixer comes with its own music creation software and works with both Macs and PCs. 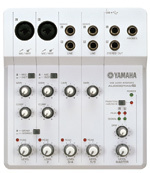 The system adds audio inputs and outputs to your computer, turning it into a notable tool to record and edit music. AmpliTube Fender: To be fair, this is an app, not a gadget, but it’s a good device to remind musicians of the cornucopia of tools that can be found in the App Store — and this is one of the best. 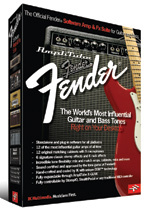 IK Multimedia and music legend Fender collaborated to digitally recreate the sounds of five beloved Fender amps. The tones are excellent — and there’s even a free version of this app to test things out first. It’s a must have for any strummer.